The Celebrity Cricket League (CCL) season 2 kick-started at the Sharjah cricket stadium on Friday (Jan 13th 2011). Salman Khan was present at the opening ceremony of CCL 2, which for the first time will have teams battling it out on an international venue. The Mumbai Heroes backed by Salman Khan announced Sharjah Cricket Stadium as their home ground. The event had a grand opening ceremony with performances by Atif Aslam and Devi Prasad. 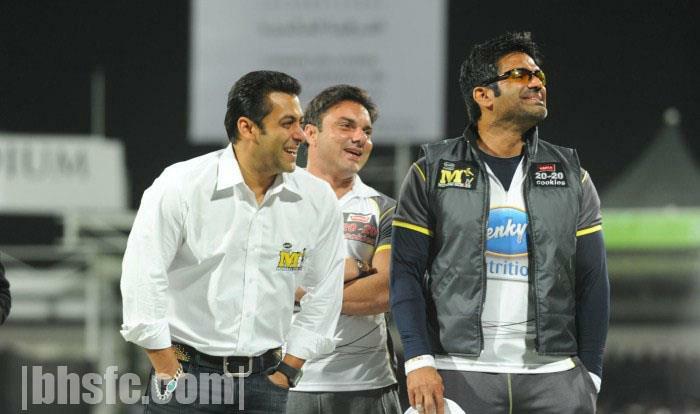 Salman Khan said, "We had a bad season last time but our boys are better prepared this time and we hope to do well". Team owner Sohail Khan said, "The boys have been practicing well, we have a good team, a good coach and hope to perform better this time". The first match between Mumbai Heroes and the Telugu Warriors after the inaguration ceremony, ended in a draw. On January 14th, Saturday, the Mumbai Heroes will again take on the Chennai Rhinos for the 2nd mach in the series at the same venue.